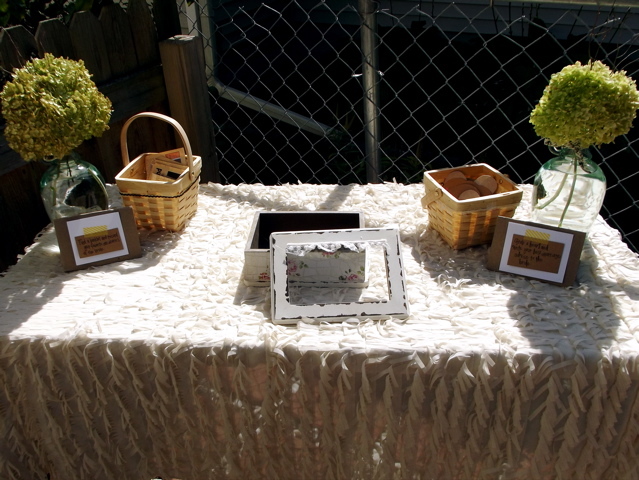 Instead of playing games at my friends 1920’s Bridal Shower, we our bride made a memory box. Personally, I’m not a big “game player” at parties, so I’m always looking for a way to do something without having to actually “do” it, you know? So, instead of a group game, we set up this little craft-station table (below). 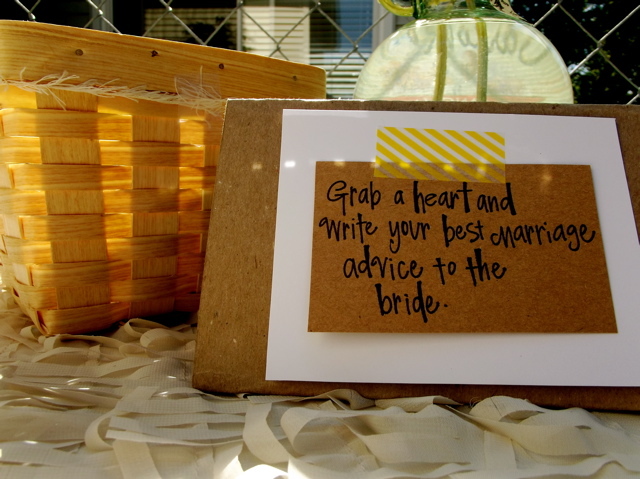 We asked people to get a heart from one of the baskets and write marriage advice on it. 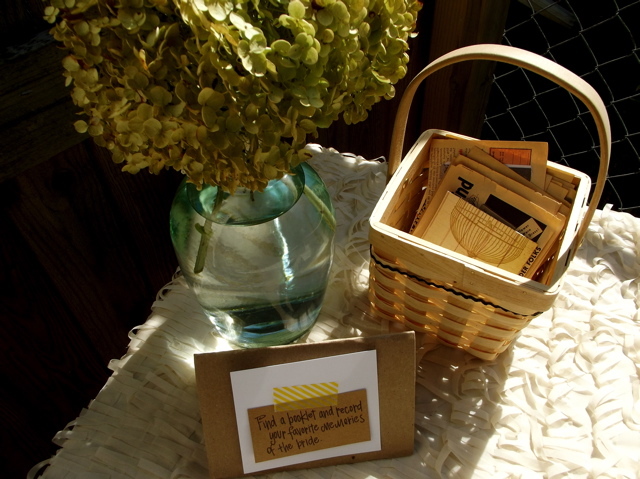 Then, we asked people to grab a little booklet from the other basket and write their favorite memories of the bride in them. When people were done, they put them both in the cute 1920’s heirloom box in the center of the table. I stopped by Crissy’s house on Sunday night and she had the box sitting out among her things. Together, we pawed through it, her reading the advice and me laughing, and Sean rolling his eyes at us. It’s definitely a sweet little something that she will always be able to hold on to throughout the years. And when she’s mad at her guy, she can open in up and get a little extra advice from her ladies. Now, we’re on to Bachelorette Party planning… There is much fun to be had yet in 2013!